This one has been on the requests list for an age. I don’t know what took me so long. This is one of my favourite REM songs. Then just down on the next chord. 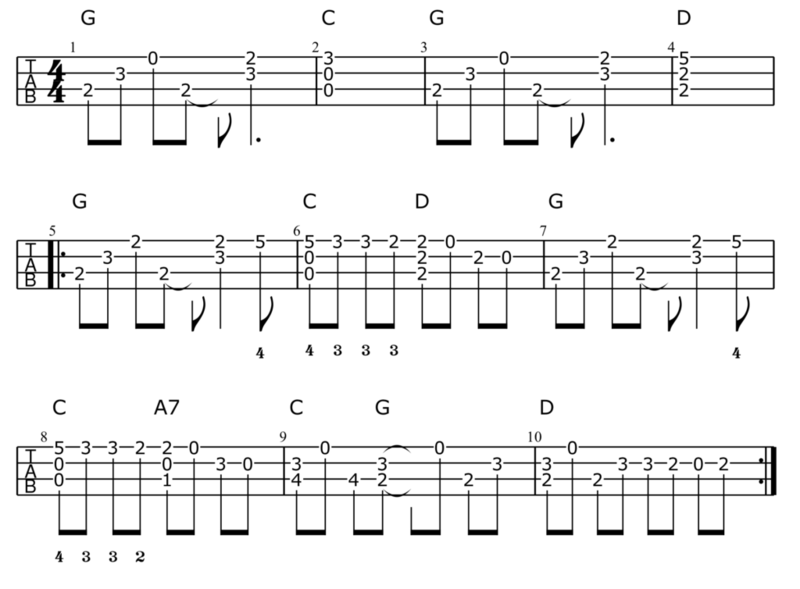 Then for the C – D and C – A7 play dudu for each chord. And ending with dudududu on the D.
Here’s my take on the piano riff. The first four bars are the intro. After that it’s the riff that repeats throughout the song. I’ve included a few fretting hand suggestions below the tab.